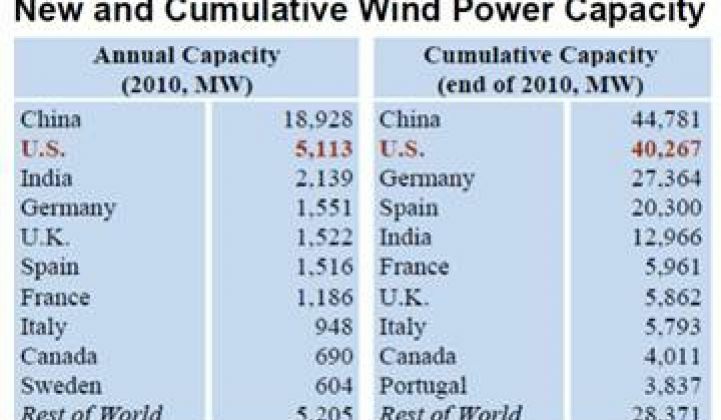 The numbers on wind’s year in 2010 are already in, but researchers at one of the nation’s premier laboratory facilities have found some important indicators of which way the wind is blowing by digging into them. 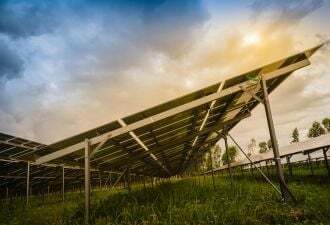 “The heart of this document is in tracking cost, price and performance trends,” said Ryan Wiser of the report he and U.S. Department of Energy Lawrence Berkeley National Laboratory research partner Mark Bolinger wrote on numbers and trends. 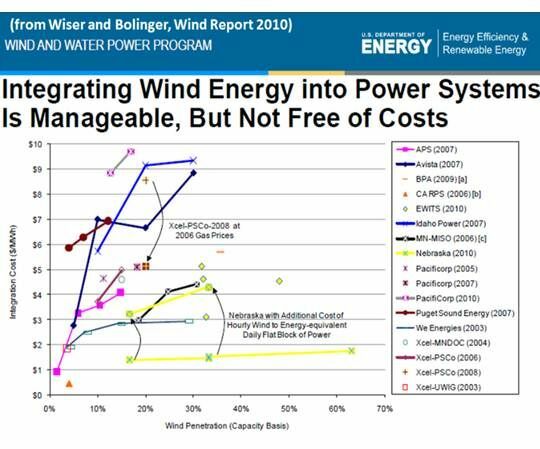 Wind-generated electricity is also dropping in price due to “turbines that have scaled, especially in rotor diameter and to a lesser extent in hub height.” This produces turbines with higher capacity factors because they can better capture available wind. 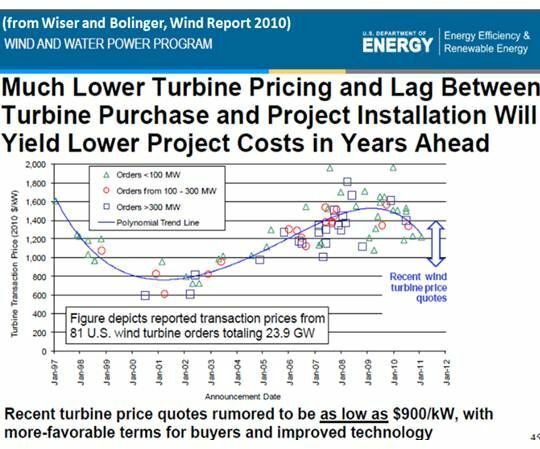 “Lower upfront costs and better project performance undoubtedly will lead to better project pricing,” Wiser said. 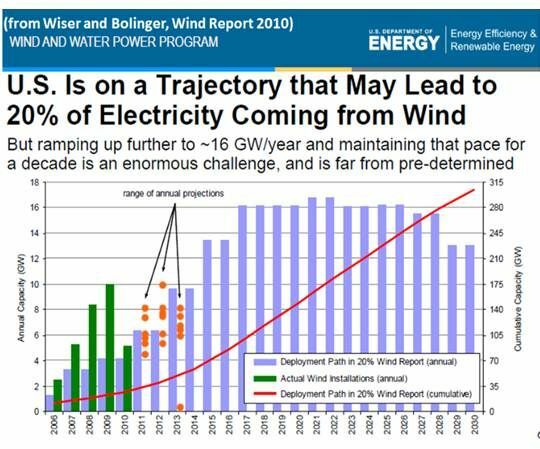 Wiser’s report concludes more wind on the grid will require more balancing reserves in the form of fossil fuel generation. Some argue this will cause an increase in greenhouse gas emissions. “The emissions per kilowatt-hour of fossil generation output will increase a little bit,” Wiser said, but “you’re reducing the output of fossil fuel plants in aggregate because you’re increasing the output of wind. There is an emissions penalty,” he said, from the total reduction in emissions.